We customize reliable, efficient and cost effective packages depending on our clients requirements. We have a small, but dynamic and motivated team who are happy to provide any pre-sales consultancy required to help you select the most suitable option for your business. Our mission is to broaden the use of Information Technology in the private and corporate sectors by providing a gateway to the world of Modern Innovation. We aim to build long-term relationships with our clients by providing creative and productive solutions in ICT and the Internet of Things. Our vision is to develop and introduce modern technological solutions in Tanzania by supplying innovative products that are cost-effective, user friendly and simple enough to be used in the everyday lifestyle. At Easy Track Solutions we value our clients and ensure to return calls – every time. We are actively expanding our key competencies, focusing on the expectations of our clients in the various vertical industries in which they work and compete. Fleet Management includes essential monitoring and tracking system for individuals, families or businesses. 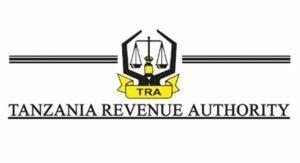 We provide a variety tailored tender approved solutions, One of our ongoing projects include electronic Cargo tracking systems (ECTS) for Tanzania Revenue Authority (TRA). We have a team dedicated to Network Configuration Management (NCM) and provide a myriad of intelligent services such as surveillance and biometric security. Your Trusted provider for comprehensive software services and IT Solutions to companies in industries ranging from from retail,telecom and automotive to high techs, smart products and intellectual property. Our MAM services aid you in managing availability and serviceability of your assets used to move, store, secure, protect and control inventory within your enterprise. At Easy Track Solutions we have a highly talented team leading R&D Department. 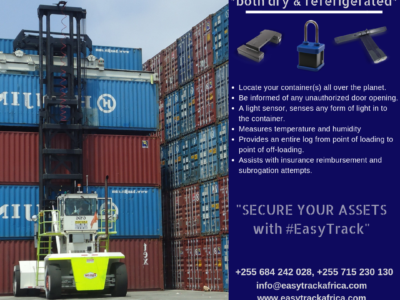 We methodically research new technology aimed at increasing the overall customer experience..
Our local export division has been very grateful of the tracking solutions provided by Easy Track Solutions Ltd for tracking our containers from our Bollore yard, located in Tabata - Dar es Salaam, to port with live tracking solutions 24/7. We are pleased to recommend their services in all transportation and logistics industries and not overlooking their expertise in IT and Securities. Their expertise in IT & Security together with Fleet and Fuel management has enabled us to control most of our operational tasks a lot more efficiently. Easy Track Solutions Ltd have enabled us to be in full control of our entire fleet of 70 trucks. 50 trucks of which are on the Fleet Management System and 20 trucks for both Fleet & Fuel Management. Easy Track Solutions Ltd don't only provide high quality products, but also provide top notch services available 24 hours a day, 7 days a week. I have been using Easy Track Solutions to manage all my mobile assets, and have been completely satisfied. their customer service level is immaculate. we have also hired Easy Track Solutions Ltd for their Network Management configuration Solutions including surveillance and bio-metric security. We provide ourselves in constantly breaking boundaries through creativity and innovation. All our products and services are tailored to deliver the very best solutions, no request is too demanding. We select the only highest caliber partners to associate our business with ensuring you the highest quality of service. Easy Track Solutions has come a long way from being a shelf company to becoming a dominant force in the. 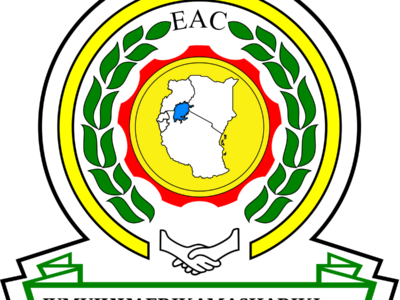 Revenue Authorities in the East African Community (EAC) have renewed calls for Tanzania and Burundi to join the Regional Electronic Cargo. CARGO AND CONTAINER TRACKING SOLUTIONS Easy Track Cargo Tracking solution helps track and protect valuable assets in transit and adds.